In partners with the Detroit Heritage Area, the MotorCities National Heritage Area needed an informative map for people enjoying the newly designed Detroit River Walk area. This area, over two miles of paths, has been designed to highlight the river and its historic surrounding area. 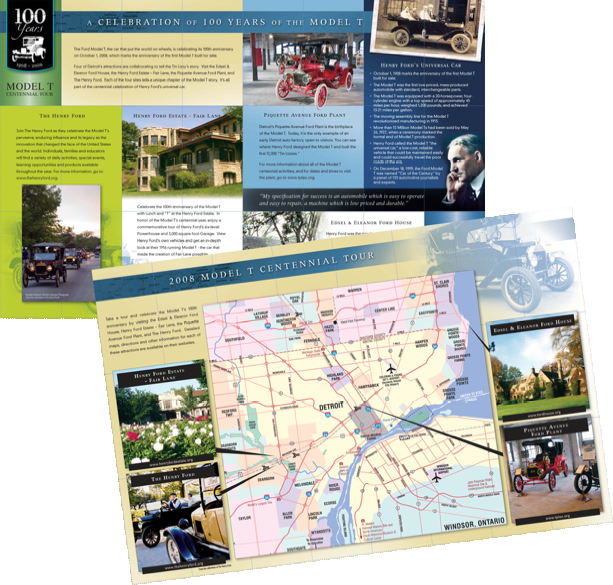 MotorCities National Heritage Area wanted to capitalize on this new tourist attraction in Detroit by highlighting the areas that were a part of the city’s robust automotive heritage. The map was designed to inform, entertain, and guide visitors through this rich historical area.